As we embark upon a new calendar year, it is traditional to pause and take a look back, reflecting on the past as we launch into the future. Unfortunately, looking into the recent past for the nonprofit sector isn’t a positive experience. The last few years have seen numerous scandals and controversies that have tarnished the previously unassailable good name of trusted organisations and the wider sector. International aid charities in the UK whose staff used prostitutes in Haiti after the 2010 earthquake. Alleged sexual misconduct by paid staff and senior managers. Controversy around modern fundraising techniques, brought into the sharpest focus in the UK following the suicide in 2016 of Olive Cooke. Concerns in the USA and Australia over charities being used as a cover for fraudulent activity. Concerns over what some view as excessive CEO pay. Criticism of volunteer governance in the collapse of UK charity Kid’s Company. Inappropriate conduct of a sexual nature by volunteers . Controversy over volunteer support for LGBTQ rights. Efforts by the UK government to limit lobbying by charities which has resulting in some people viewing nonprofits as too political. Sham cancer charities being shut down due to massive fraud in the US. Questions about the veracity of long-standing charities like the American Red Cross after millions of dollars were raised but not directed to disasters like Hurricane Harvey. Even those who say the level of trust in good causes is good acknowledge that donors don’t feel they know how much of their donations are going to the cause. 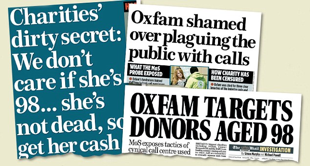 In fact, the chair of the UK’s nonprofit regulator, the Charity Commission, claimed in April that charities were no more trusted by people than a stranger in the street. Sadly, the response of the nonprofit sector hasn’t been anywhere near as robust as the criticism directed at it. Some good examples exist, like the RNLI’s response to tabloid criticism that it dismissed volunteers over possession of sexually inappropriate material. Individually and collectively, however, nonprofits have either ducked the big issues or provided weak responses to the criticism they have faced, fearful that if they try to defend their fundraising cost-ratios or CEO pay they will face more ire from the media, funders, government or general public. This Points of View is not the place for a debate about modern nonprofit fundraising or executive pay or safeguarding or many of the other issues plaguing charity reputations. It is, however, a place where we want to ask an important question. In responding to the criticisms they face, why aren’t nonprofits and their representative bodies making the most of some of our most passionate advocates, our volunteers? Millions of people volunteer around the world every day. That’s millions of advocates who could be speaking up in defence of nonprofits to their friends and family, to newspapers and politicians, and to anyone they strike up a conversation with in their daily lives. It’s important to say that we don’t see the way forward being to train and equip every volunteer to be an official spokesperson for our organisations and apologists for our sector as a whole. The vast majority of volunteers undergo some form of induction and training. Include specific content to explain things like the realities of modern charity work, legislation, and standards we work within and the organisation’s fundraising ratios and strategies. We perhaps don’t do this proactively for fear we would put volunteers off our organisations, but wouldn’t it be great to have an opportunity to honestly discuss and explain these issues so that volunteers are personally comfortable with what we do and confident enough to defend us to people they talk to in the community? Additionally, there could be a whole stream of ‘advanced’ training for leadership volunteers (think trustees and board members) that dives into the more complex topics and issues facing charities today, equipping them with a more nuanced understanding of the landscape and sector. Openly address the criticism of charities and how your organization feels about them, incorporating ongoing communication with volunteers through newsletters, social media posts, one-to-one conversations, and team meetings. Part of this means treating and speaking to volunteers, especially long-term and/or leadership volunteers, as ‘insiders’ within your organization. Imagine the power of mobilizing volunteers to address any public issues your charity is facing, while involving volunteers in being part of the team helping to solve the problem. That’s real volunteer engagement! Provide volunteers with information and resources to keep them informed and they can share with others. For example, offer an infographic summarising the annual report and headline financial figures in an easy-to-understand way. Better yet, offer a special volunteer-focused session that helps volunteers understand and respond to typical questions from the public about the organization and how its run. Ask our volunteers to write to the press or post comments on the social media sites of media outlets who are negative about nonprofits. They don’t have to do so, but if we don’t ask, they probably never will. Many charities have teams of Public Issues and Advocacy volunteers. Why not take these highly-trained and skilled people and have them focus on advocating for the sector and our organization? Encourage our volunteers to ask questions of those seeking political office at election time. The millions of volunteers worldwide are also millions of voters with the power to elect or remove from office politicians who are quick to attack nonprofits and the causes we support. Planned Parenthood (US) is an example of one charity that is working hard to parlay organizational support into political pressure to support the organization, its mission, and values. Work with local organizations like Volunteer Centres, who offer Board of Director training, to ensure it includes strategies to address public concerns and a broad overview of the many challenges that charities face. 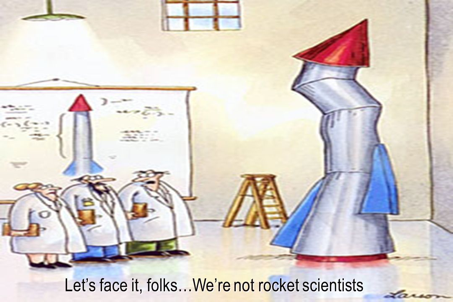 None of this is rocket science, of course. Yet few organisations take any of these actions, leaving the work of nonprofit advocacy to their press offices or sector peak bodies. By neglecting this action, we miss a trick when we don’t inform and encourage our most passionate advocates to speak out on our behalf when we’re being challenged. And equally important, we’re also not treating volunteers as key players on our team who have power and influence that benefits us in multiple ways. There is one caveat to all these wonderful opportunities we’re not tapping into: involving volunteers is a double-edged sword. While the involvement of volunteers is foundational to our ability to deliver our missions, it’s also a risk. Involving anyone in core ways, including volunteers, brings them ‘behind the curtain’ and potentially exposes any poor management practices and less than ideal outcomes; this is another reason why the role of leaders of volunteers is so critical and further proof that a vibrant culture of volunteer engagement pays multiple dividends. Despite these risks, we must conclude that the benefits of having a passionate army of people who will testify to the impact your organization makes strongly outweighs any drawbacks. If we empower volunteers in this way, we strengthen and deepen their affiliation with our cause and can inspire other forms of support beyond volunteering and advocacy. That would be a real win-win.